Houston LASIK & Eye is a center of excellence for laser vision correction with our reputation bringing clients from across the country and globe. We have treated patients from every continent (except Antartica of course!). With clients from across the globe, Houston LASIK & Eye has established itself as a leading global laser vision correction center. America’s Top LASIK Surgeon Dr. Amjad Khokhar, MD, FAAO leads the LASIK team at Houston Lasik & Eye. With thousands of surgery experiences, he is one of the country’s most experienced LASIK surgeons. This multiple award winning surgeon is known for his meticulous care and relaxing demeanor. You can visit him in our Houston, Sugar Land, or Pearland offices. 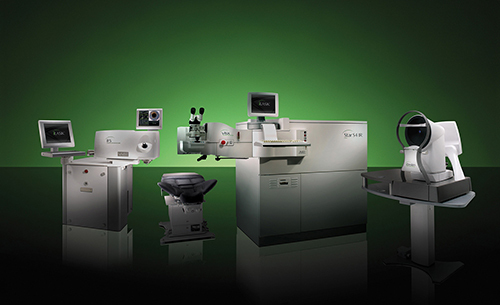 Houston LASIK & Eye has the latest equipment used in laser surgery. We have invested in iLASIK technology. This bladeless, all laser, and customized treatment was developed using NASA Hubble Telescope technology. This heavy investment in advanced technology allows us to achieve superior visual outcomes. The technology available here is so advanced that even NASA astronauts and Air Force fighter pilots visit the clinic.